There are many different aspects of accounting that could be a great fit for upcoming financial professionals. One field within accounting that may have been incredibly influential in the field of business over the years is bookkeeping. People interesting in bookkeeping have, in addition to certificate and diploma program options, degree options ranging from associate's degrees to bachelor's degrees. 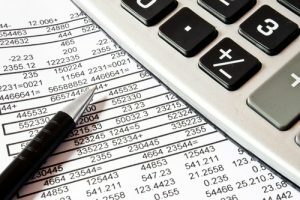 Aspiring bookkeepers will learn how to use basic accounting techniques and reporting systems to keep track of the financial transactions for an individual or organization. While accounting administration programs tend to focus on general office skills, most bookkeeping program focus on specialization in using accounting software and learning how to maintain the integrity of bookkeeping systems. Bookkeeping may involve maintaining current financial records, detailing transactions and creating reports for the organization in which it is applied. Individuals interested in becoming a part of this field can receive certification through bookkeeping programs or through accounting degree programs with a specialization in bookkeeping. Whether or not you choose to pursue the collegiate or pre-certification training route, there are online programs available that can meet your needs. Hundreds of schools all over the country offer certificate programs in accounting for interested students that wish to combine different degree specializations to help sharpen their accounting skills. Pre-certification training courses can also help students looking for a quick entry into the field of bookkeeping. Students may become burdened by the large number of programs available during their search. The choices offered can be compared in terms of price, completion time and certification training. In order to make your search more efficient, our team of educational experts has put together this helpful guide to help you on your path to becoming a detailed and valuable bookkeeping professional. As you read through this guide, consider what type of investment this type of degree may take and the career options that could be available to you after completing the program. One of the most popular questions for applicants to these degree programs is concerning bookkeeping’s relationship to accounting. Some professionals working for businesses may hold dual titles which include bookkeeper and accountant. The job-specific roles that people take part in within their career may help define the differences between being a bookkeeper and being an accountant. Bookkeepers may generally be the leading source of financial documentation for an organization. When a company makes a purchase, bookkeepers may be responsible for keeping records of the transaction for later use. In the event that services or items are sold, bookkeepers may also issues invoices and maintain a current log of sales within a log book or computer system. At the end of the fiscal year, bookkeepers may also prepare financial statements for their organization, for tax and income purposes. Those familiar with the field of accounting may see some similarities between the role of bookkeepers and the role of accountants. Generally, accounting specialists can also maintain and provide financial records for the organizations in which they work. However, as an accountant, professionals can also provide helpful insight into purchases, sales and even tax-reporting. Accounting professionals can also become further certified as Certified Public Accountants (CPA) and work independently for many different companies. Whether you decide to complete a certificate program alongside an associates, bachelors or masters program, or a pre-certification training program, the courses that you can take can introduce you to bookkeeping-related topics essential to success in the field. Some of the courses and topics listed below may be part of the curriculum within either of these programs. As an upcoming bookkeeping professional, it is vital for you to be familiar with current trends in bookkeeping, computer programs used by financial professionals in the business setting and the laws that financial professionals are expected to abide by. In the list below, you can learn about what each course consists of and the skills you can learn in each. The Books of Accounting: At the onset of a bookkeeping program, students can take introductory courses pertaining to the subject matter of their future career. This course in particular can introduce students to the many financial forms and programs that may be present during a normal day’s work. Balance sheets, general ledgers, financial journals and tax statements may be part of what students cover in this course. Students may be provided with a general outline of each form and what they consist of, as well as gain skills relevant to completing these forms in a professional setting. Accounting Systems: After receiving an introduction to balance sheets and other pertinent financial forms, students may then be moved into courses pertaining to the computer software used during the bookkeeping process. This course may require students to have some background in computer information processing. Students taking this course can review and practice with current accounting software used for maintaining financial records and creating income statements. Cash and Payroll Accounting: In this course, students can learn how to properly document financial transactions for later processing, learn to appropriately write checks and process payments and issue payroll transactions for employees within their organization. The rules and guidelines for payroll services may also be covered in order to help students learn more about this process within businesses in all fields. How Much Does A Bookkeeper Make? Once you have completed all of your educational training in bookkeeping, you may qualify for some truly intriguing positions in the field. If you are researching this educational program as a potential career option, you may be interested in what the earning potential for bookkeepers may be currently. According to the BLS, bookkeeping clerks can earn $39,240 per year on average while working in the United States. Depending on the type of company you decide to work for, you could have very different job responsibilities. The bookkeeper is a very important part of businesses and organizations that offer services and products to the public. Our team of experts has provided some common job duties of professionals in this field in order to help you learn more about what is included in being a bookkeeper. Paying Expenditures: Bookkeepers may be responsible for issuing checks or digital payments for purchases within their organization. This may include detailing the transaction within record books and preparing checks to sales agencies. Billing Services: In businesses that sell services or products, bookkeepers may be responsible for creating and sending invoices to clients for purchases made. Part of the responsibility in this area may include monitoring invoices for payment and notifying clients when payments are past-due. Recording Income/Deposits: Recording income and deposits is an important part of maintaining current financial records for an organization. Professionals in this field may be responsible for ensuring records are accurate and reflect exact amounts. Balancing Accounts: At the end of the financial year, bookkeepers may be tasked with balancing accounts used for spending and income. The end result of this process can help during the yearly accounting process. Reconciling Accounts: Bookkeepers may also be responsible for ensuring transactions are accurately recorded. During this process, professionals may compare spending accounts to balances to ensure that the figures match up for year-end processing. Can a certification in bookkeeping prepare me for the National Bookkeepers Association Bookkeeper Certification Exam? If you are engaging in an accounting degree program with a bookkeeping certificate option, you could definitely learn topics and skills covered in this examination. Most preparation programs in bookkeeping can be great resources for students interested in taking this examination after their program has concluded. What kind of businesses can I work for as a bookkeeper? Most businesses rely on financial professionals to help maintain their financial records. Any organization that buys or sells services can benefit from the expertise of professional bookkeepers. Some popular career options for professionals in this area may include privately owned businesses, medical facilities and even attorney’s offices. What type of skills would complement this educational program? Students interested in a career in bookkeeping should have sharp attention to detail, skills and interest in mathematics and the ability to scrutinize data from multiple sources. Each of these skills can help you to become a more efficient professional in the field. Most states do not have any specific degree requirements for upcoming professional bookkeepers. However, most students interested in becoming bookkeepers must pass a certification test in order to receive a certificate to practice bookkeeping within their state. The best method for becoming a part of this field is engaging in certification preparation programs that can assist you with learning the necessary skills for record keeping in a business setting. The cost of these programs may vary, but most programs charge a standard tuition rate of $328 to $550 per credit hours for these certifications. Some colleges offer certificate programs in bookkeeping to accompany bachelors and masters programs in accounting, which can generally be completed in under 1 year. One university providing a pre-certification program for an affordable price is Ashland University. At Ashland University, students can engage in a bookkeeping training course that involves a look into common bookkeeping topics and can be completed in under 6 months. The total cost of the preparation program is $700, making it a great option for students interested in pursuing this certification. The end result of the program is the completion of the National Bookkeepers Association Bookkeeper Certification Exam. Successful completion of this exam can result in you becoming certified as a bookkeeper.